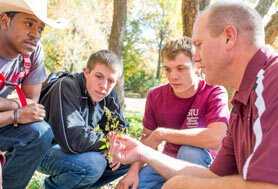 Discover a whole new world of exceptional science-based programs and top-tier resources at SIUC’s College of Agricultural Sciences. Experience diverse and boundless educational opportunities as you take your pick from our specialized and customizable Bachelor’s, Master’s, Doctoral and Non-Degree programs. Build the future you’ve been dreaming of in an environment with heart and bring big things within reach. Choose from 8 majors and 26 specializations and get set for a rewarding academic experience that will open new doors of opportunity and education. Pursue a challenging academic program that helps you gain specialized knowledge in any one of six majors and choose from a wide range of flexible concentrations. 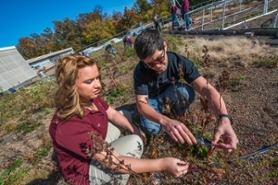 Immerse yourself in a quality, interdisciplinary, research program that focuses on critical issues of interest to you in agricultural sciences, plant biology or environment resources and policy. Arm yourself with more and enhance your job marketability with specialized skills, training and knowledge gained over a short period of time.